Lake Oswego School District near Portland, Oregon, has finalized an agreement with Legal Aid at Work and local counsel to upgrade its high school sports programs and facilities in line with what it provides for boys. Legal Aid at Work joined the case last year, when we asked the U.S. District Court in Portland to certify it as a class action. Girls who had played on competitive teams at Lake Oswego High School claimed that the school had denied girls hundreds of opportunities to play on teams and disregarded their right to equal treatment and programs. Here’s the complaint. “We are glad to see the school district and high school truly committing to equity for girls, who for too long have felt like a second class,” says Anna Tomita, 17, a senior, one of the plaintiffs in the case, and a member of the girls’ softball team at Lake Oswego High School. The full agreement, which we filed with the federal court on Tuesday, Oct. 3, adds opportunities for girls to play sports on par with boys’ offerings, and it equalizes athletic treatment and benefits experienced by female athletes in many ways. LOHS agreed to adjust practice and play times for girls’ teams, make more locker rooms available for girls, equally publicize and promote girls’ and boys’ teams, and apportion coaches equitably. These changes will help ensure that girls’ sports and facilities at Lake Oswego High are equal to those long enjoyed by boys. 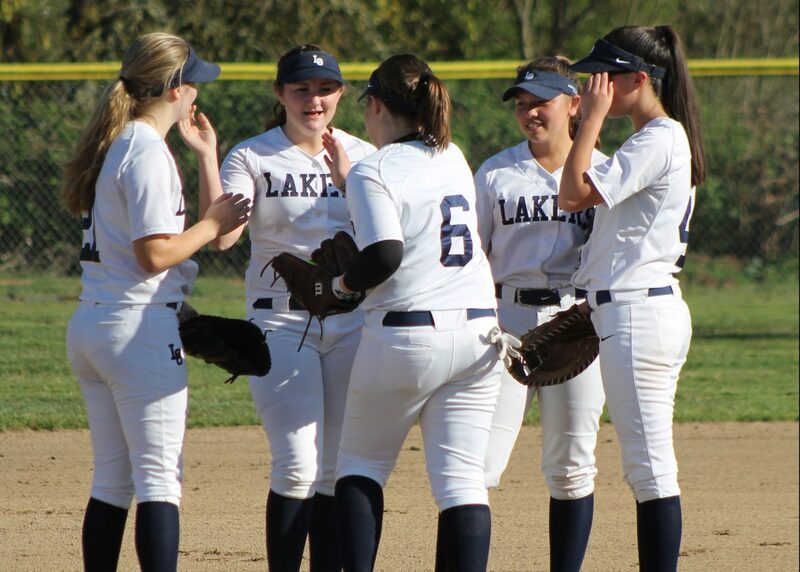 “Our daughters bravely stood up to an institution that dismissed them as not deserving all the same athletic opportunities and amenities as male students; through this action and the settlement, the girls should feel proud that they have not only worked to establish an equal playing field for the softball program, but now all girls at Lake Oswego High School can experience equity in the athletic program,” adds Shelly Jones, mother to Morgan Jones, 17, a senior softball player. The court will retain jurisdiction for three years to ensure compliance, and a consultant and community task force will form to help implement the agreement. Legal Aid at Work’s Fair Play for Girls in Sports Project is a leader in enforcing Title IX of the Civil Rights Act to achieve equity in school sports programs so girls enjoy the lifelong benefits of participation — including improved physical and mental health, better outcomes in academics and in the workplace as adults. Legal Aid at Work delivers on the promise of justice for low-income people. We provide free direct services and extensive legal information online, and we litigate individual and class actions and advocate for new policies and laws. A partner with Glascock, Street, Waxler LLP, Andrew Glascock is handling the case pro bono. He lives in Lake Oswego, his children attend Lake Oswego School District schools, and he coaches his daughter’s club softball team, the LO Renegades, for which he is also a board member.